Where is the UK/EU Deal heading and where do I stand? Thank you for all your questions and comments on the UK/EU Brexit Deal (aka the Withdrawal Agreement, including the Transition and the Future Political Declaration). And forgive me answering all of you together, since there is simply not enough time to give you all individual replies, and it’s good to be aware of different views. As always I take as gospel that none of us has a monopoly on wisdom, and as to what happens next – well almost anyone’s guess is valid…and here is mine. And if you feel I fall into the ‘Uncle Tom Cobley the list goes on forever’ category – and therefore not wish to read further – I quite understand. And if you want a 4 line summary of my view please go to the second last para. As one of your constituents I must speak up. The EU's attitude reminds me of the much stated aim from The Pirates Of The Caribbean films. "Take all you can. Give nothing back". It’s colourful. Our negotiators might even agree. But what matters most is whether we’ve achieved enough of what we hoped to – and what the alternatives are. What has been my role in all this? I voted for the Referendum, and I voted Remain: explaining through my e newsletter (which I hope you all get: do tell if you don’t and would like to, or you can sign up for it HERE) that on balance I thought the short term risks outweighed the potential longer term benefits. I was also elected onto the Select Committee for Leaving the EU (ie Brexit) in 2017, monitoring and auditing both the new Department and its negotiations. There I’ve questioned our Secretaries of State, Michel Barnier (EU Commission Brexit negotiator), Guy Verhofstadt (European Parliament Brexit co-ordinator) and many others: and shaped and amended our several reports (link to our most recent one HERE..). So does the Deal achieve what the PM set out to achieve and what voters wanted? There may be other factors: or fewer ones – including just a sense of general frustration that the whole system (and globalisation) wasn’t working for us. Bringing back control of our borders? Bringing back control of our laws? Sovereignty not ever closer union? An end to hefty EU membership subs? Ability to strike our own Free Trade Deals? Final say on court decisions? 3. We have to move on from defining everyone in terms of the Referendum. That’s over – most parliamentarian Remainers long ago accepted the result: And 5 out of 6 of us voted to trigger Article 50. The debate, for most, has been about how we leave. So I believe if you want to fulfil the Referendum and Leave the EU, then this deal gives almost all of what you want. Yes with an eighteen month waiting period (‘transition’), and the potential to extend that once for a short time. Yes, you do need to trust the direction of travel, the tone of the Political Declaration and the future negotiation. It is worth adding that I do not believe that the Withdrawal Agreement is renegotiable, even if there might be a bit of wiggle room on the wording of the Political Declaration. Lastly, those who want me and other MPs to vote against the Deal because it isn’t a ‘proper Brexit’, and want No Deal instead, should think hard about where this might lead. See below for my views on this. Meanwhile the other side of my constituent mails, who argue the whole thing is not a betrayal but a disaster: that I should support a People’s Vote (ie a Second Referendum), if not support suspending Article 50 altogether: and basically do anything to try and achieve No Brexit. 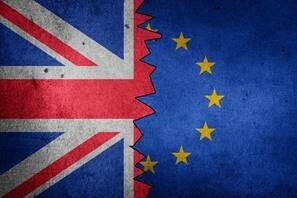 Certainty of residence rights for EU nationals in the UK and British citizens rights in the EU? Ability to move easily between the UK & EU for holidays or business meetings? Close relationship for the Police, Agencies & Defence on criminal / terrorist threats? Continuation of close Euratom, EATA & Reach (chemical) partnerships? Frictionless trade of goods for time sensitive industries like aerospace, automobiles? Tariff free arrangements post 2020? Customs arrangements virtually as good as current ones? And some of you were keen to highlight employee and environmental standards, on all of which we will continue to be at least as strong as the EU, and possibly more so in some ways. Gibraltar: it has always been true that all 27 EU nations have to accept an FTA, and so have a veto on the future FTA. But I am confident this won’t materialise – because European borders have constantly moved over the last 150 years, and if one country tries to try and redefine them it would be a recipe for chaos. Meanwhile Gibraltar has said the PM has done a great job in The Deal for them, and I think we should accept their word on it. From all this you can see that I agree with William Hague and many commentators that The Deal, while not perfect (what negotiated compromise ever is?) does deliver on most of the PM’s goals. But I recognise that trust about EU intentions on the future FTA vary. Which leads me to the crucial, and speculative, bit: what happens next? If the Deal is accepted by Parliament: (either first time or at the second attempt ie within the short space of time allowed for a Bill to be re-presented) everyone gets something, and most breathe a sigh of relief and can move on. There is a chance of our divisions gradually easing. Business moves from sitting on cash to investment – generating growth and jobs: consumers start to spend again, the currency and markets recover and so on. Negotiations on the FTA and other issues have to get under way asap, but start from trust and goodwill. This would be close to a ‘business as usual’ result, with minimum disruption and maximum continuity – and a slight feel good factor, because everyone is predicting it isn’t possible at the moment. Remember the media said the PM wouldn’t be able to get the negotiations through Phase 1, then not through Phase 2, and they were all caught by surprise at the speed of The Deal. Now they’re predicting she can’t get it through Parliament. But success negotiating with the EU doesn’t mean success with Parliament. MPs are hard to read, harder to herd, and there are many agendas. It is very hard to know what my colleagues will do, let alone Labour, whose main position seems to be avoiding having a position at all costs. Some MPs have created their own red lines and made commitments in social media hard to back away from. If the Deal is rejected by Parliament: no-one knows what will happen. But I do not believe that this (or any) government, knowing what we do about our vulnerability to global supply chains and our sea trade link to Dover, would implement No Deal. That is just not going to happen, contrary to what MPs are saying. And so whatever does happen the result is very unlikely to be closer to what some of you see as ‘a Proper Brexit’. It will be the other way – towards a softer Brexit, closer to the EU: and further from bringing back control. In that situation Parliament would probably first vote on a Vote of No Confidence in the government from Jeremy Corbyn, which would not be carried. There would then follow various advisory motions – of which one would almost certainly be a Second Referendum. I would not support this because we’ve had one already and we promised ‘what you vote for we will implement’. A Second Referendum would also be hugely divisive: it would resurrect the ghost of Nigel Farage and UKIP, the cries of betrayal would have a strong ring of truth, and I’m not convinced that throwing everything back to you, the voters, is the best way to resolve the issue (even assuming there were three options: No Deal / Government Deal or No Brexit; and that there was somehow enough time – through an extension of Article 50? – to hold the Referendum before we leave the EU). In a close three horse race result the winning preference would very likely have fewer votes than either remain or Leave in the First Referendum. How legitimate would that feel? But there is one possible motion which would, I believe, attract a considerable amount of support: to accept the Withdrawal Agreement minus the N Ireland backstop element, together with a commitment to stay in the European Economic Area (EEA) and join the European Free Trade Association (EFTA) – or in shorthand the Norway ++ option. This would make the N Ireland backstop irrelevant because we would be in the Single Market (ie all the rules) and in a Customs Partnership with the EU. The astonishing thing is that some Conservative Brexiters and even the DUP are making positive noises about this. I say astonishing because this would definitely not be a ‘proper Brexit’. We would be a rule taker for ever, not just 18 months. We would not have control of our borders (EAA states accept the EU’s Freedom of Movement), and although EFTA has its own court it has only once (from memory) deviated in its decisions from the ECJ. We would be able to negotiate our own FTAs, mostly with the other EFTA countries (Norway, Iceland, Liechtenstein & Switzerland). We might be able to add to this arrangement all the security and sectoral deals outlined in the Political Declaration to make the ++ element. Lastly we would have to apply to EFTA, who may not be thrilled at having a much bigger new member of their gang. Norway ++ would I believe objectively be a poor outcome for the UK. Those of you who say staying in the EU is better would be right – above all we would not have a seat at the table, deciding legislation and defending our positions. And those who say this is not what we voted for would also be right. Some of you say the government’s Deal with the EU satisfies no-one, but this even more true of Norway ++. I do not believe our PM would want it, because she knows that her Deal is better for the UK. But MPs, including me, might vote for it in the situation of The Deal having failed, if that became the only way of preventing No Deal, which local businesses emphasise to me would be a real disaster. For those who say you don’t like the deal and want a Second Referendum – you want this in order to win this time round and avoid Brexit. You will say, as Paddy Ashdown did first time round, that whatever the winning result, 2 votes or 2 million votes, we must all honour it. But we’ve been there and done that, and we should honour what has already been decided. Trying to do anything else would, I believe, prolong and widen this proxy Civil War, and increase real disillusionment with politics, politicians and Parliament. No-one quite knows where it would lead. For those who say you don’t like The Deal and want No Deal some of my colleagues are convinced that this is what will happen after voting down The Deal. But it will not. Parliament will move to a softer Brexit at least, with a cross party alliance: and many of the things won through hard negotiation since the referendum would fall away. By criticising The Deal, without realising its strengths, or understanding why No Deal isn’t an option for a government at this stage, Brexiter MPs risk a relationship they will dislike even more. I would even say that is inevitable and amounts to self harm. But all the evidence just published showed any future not as an EU member shows we’ll be worse off? No: the forecasts published show Britain continuing to grow: but slightly less strongly under The Deal than as an EU member, and much less strongly under No Deal. However as the independent OBR has underestimated our growth forecasts every year since it was created it may be a bit over gloomy again. Under the deal it would be up to us to make asuccess of the deal. You’ve said you’ll support The Deal, but if it fails might vote for Norway ++ if it is the only likely option to prevent No Deal or the Second Referendum: why? I don’t believe any government would last more than three weeks under No Deal. The backlog of lorries, motorway chaos, supermarket food import issues, time sensitive imports, car factories on temporary closure, and consumer confidence hit would bring it down. Say I’m scare mongering if you like, but no government would risk it. In that scenario anything would be better: but a Second Referendum almost as bad as No Deal because Leave voters would rightly feel Britain’s democracy had let them down. Once again it all comes down to the Least Worst Option – as it often does in politics. It (The Deal) comes down to whether people in Britain feel that the outcome can reasonably be said to have delivered Theresa May’s goal that the UK should “regain control of our own money, our own laws and our own borders” and is “free to strike trade deals with old friends and new partners all around the world”….The two fringes of the debate will be unhappy with the outcome whatever it is. One will lament any compromise they can point to as an infringement of sovereignty; the other will always argue we would be better off in. What matters is whether the non-fanatical, fair-minded, sensible person – that is, the great majority of voters – will feel the referendum result has been honoured or ignored. On the 11th December MPs will vote on The Deal. All of us will remember the exhortation of our daily Parliamentary prayers that we should ‘never lead the nation wrongly through love of power, desire to please, or unworthy ideals but laying aside all private interests and prejudices keep in mind their (our) responsibility to seek to improve the condition of all mankind’. Bearing those words in mind I will vote for The Deal – because it best combines respecting the Referendum with minimum disruption to my constituents’ lives and jobs. Whether that is the right call is for you all to judge later. What we end up with in ten days (or in any event by the end of January) the Lord only knows, but I hope that Parliament does back The Deal, and if not I fear many will come to repent at leisure. This is my best shot at reading the tea leaves for you – I hope it’s helpful, and I am sorry it’s so long. If you’ve got this far you deserve at least a drink.